Our lifespan is determined by our genetic makeup, our behaviors, and the environment in which we live. While our genetic code is fixed, we can change our behaviors and our immediate surroundings. OSU Extension has nationally recognized programs that help people make healthy choices and catalyze the creation of healthy homes, schools, workplaces, and communities. Extension empowers Ohioans with the knowledge, skills, and tools needed to produce healthy people, relationships, and finances at every stage of life. With population density, diversity, and complexity, cities bring opportunities and challenges for better health. The Double Value Produce Perks and the Produce Prescription programs are aimed at increasing access to and affordability of high-quality fresh fruits and vegetables sold at neighborhood-based farmers’ markets for Cuyahoga, Stark, and Summit County residents. Approximately 4,000 individuals increased the value of their monthly SNAP benefits, while increasing profits for local farmers by redeeming more than $150,000 in SNAP incentives. In Cuyahoga County, 595 youth who participated in the adventure clubs elevated their physical activity, gained knowledge in healthy food choices, and increased their water consumption. The Development of Living Skills (DLS) program offers in-home instruction to individuals and families referred by Children Services. In Butler County, DLS provided 1,224.75 hours of teaching time to 101 clients. As a result, 21 children from foster care were reunited with their parents and 31 at-risk children were able to remain in their parent’s home. Supplemental Nutrition Assistance Program – Education (SNAP-Ed) was utilized by 64,000 participants in the 10 most populated counties. In Montgomery County 3,248 youth in pre-K through second grade participated in at least one of 170 in-school and after-school SNAP-Ed programs. The knowledge and skills learned from the Expanded Food and Nutrition Education Program (EFNEP) impacted nearly 18,000 Ohioans last year. In just Lucas County, 9,229 Ohio youth participated in EFNEP. 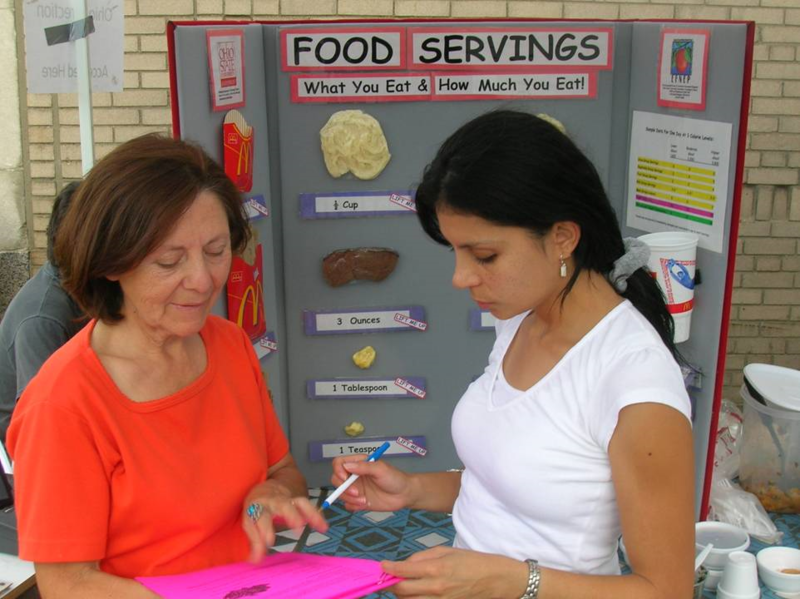 Ohio State University Extension Family and Consumer Sciences’ Live Healthy Live Well program encourages healthful habits to improve participants’ well-being, reduce the need for health care services, lower absenteeism rates at work, and help control costs for employers. This OSU Extension in the City work group is led by Brian Raison and Dan Remley. Cooperative Extension's health and wellness framework: "to increase the number of Americans who are healthy at every stage of life."